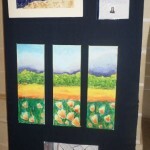 Maria Mizzi is a talented 11 year old student, who enjoys expressing herself through Art. 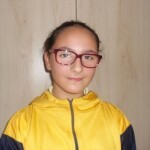 Maria says that reading and spelling can be a challenge, but that with the support of her parents, teachers and LSA’s, and by learning many self help skills, she is able to overcome her obstacles. Even though Dyslexia can be frustrating in class, she says that thanks to her Dyslexia she can see things differently; She uses her creative part of the brain to help her with her art work.